Cyclocross Magazine tech report Cliff Lee spent some time at the 2018 Sea Otter during a break from his day job. Lee has taken a look at some of the new bikes that caught our team’s eyes, and today he has a run-down of some of the other gear he had time to check out. 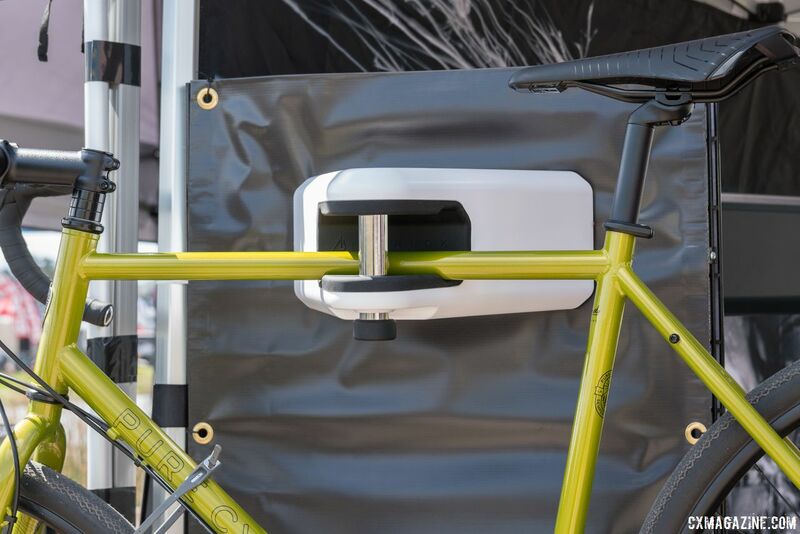 Since we saw the original wearable high security lock at Interbike several years ago, the London company produced several innovative products. Last year we saw the reinforced, reusable zip-tie HipLok Z-Lok at Sea Otter. A year later, the Z-Lok has some minor upgrades such as the one-piece metal key and includes two keys with the double pack. Those changes addressed some user complaints, and show that the company is very responsive to user feedback. More importantly, HipLok introduced two new products. 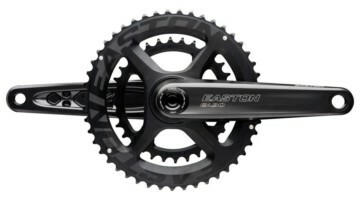 The Z-Lok combo has a three-digit combination designed to make it even handier. 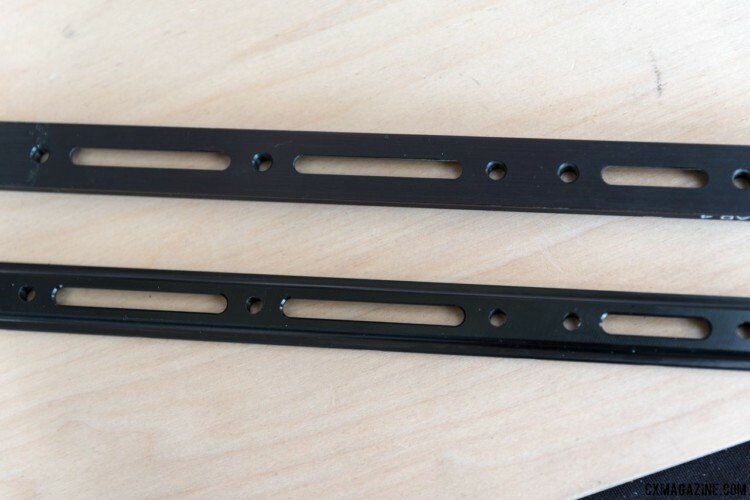 The zip-tie is a bit thicker to accommodate the lock head, which buys a hint more security to this minimal security lock. The Z-Loks are for the stop where you can watch your bike but want to provide a deterrent against the casual thief. The new Z-Lok combo weighs only 70 grams and $25 for the Z-Lok combo and easily pocketable. The other introduction is the AirLok, an at-home storage and security solution. The AirLok is a wall-mountable bike hanger with a bolt that locks the bike into the rack. Wall mounting is semi-permanent, or permanent if you cement the bolts. Even in the semi-permanent mounting, the wall fasteners are not accessible when you lock the bike into the hanger. The AirLok retails for $180. We love waterproof socks, especially since cyclocross is a “winter” sport that often takes place in inclement weather. We reviewed the Sealskinz socks along with other rainwear a couple of years ago. Last year the U.K.-based Sealskinz introduced a thin version of their venerable waterproof sock with HydroStopⓇ a rubberized barrier strip at the top of the sock to keep the sock from slipping down and keep water from running in through the top of the sock. Bulkiness of waterproof socks is a real issue and sometimes requires a larger shoe for fit. The thin version from last year helped. This year, Sealskinz introduced the SuperThin Pro with HydroStop. This is indeed more akin to a regular sock in fit and thickness. To achieve this, the Sealskinz used bamboo yarn for the liner instead of wool. The company claims the wicking property of the bamboo fibers is excellent, and the thinner sock liner brings the waterproof membrane closer to the skin for better breatheability. We’ll see as we put a pair to the test. 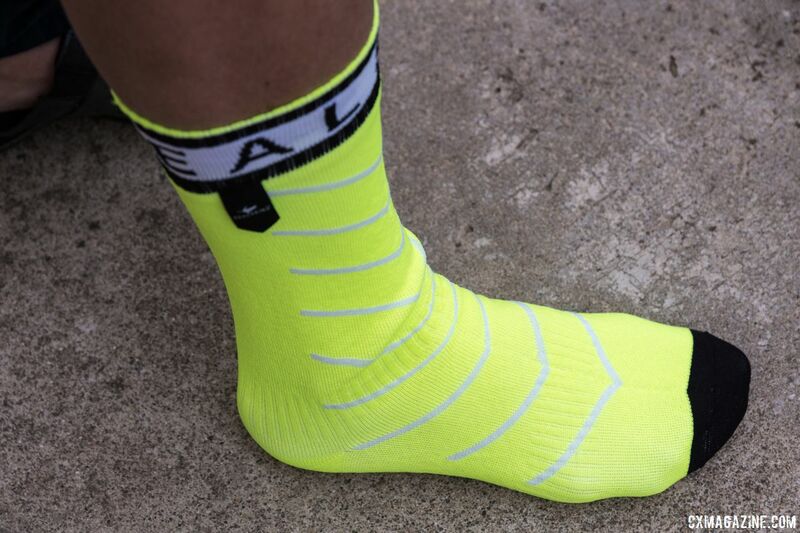 Sealskinz offers the socks in day-glo yellow as well as black or red, and with different heights, ankle or mid-calf. Wolf Tooth Components always has something new to show and this year was no exception. Last year at the Sea Otter Classic, we saw the B-Rad rail that expanded the carrying capacity of the water bottle bosses of your bike. This year, Wolf Tooth lightened the rails by machining them extensively. Expanded versatility with less weight penalty-what’s not to like? Wolf Tooth had a couple new products on display this year. One was its new Pack Pliers. The Pliers are a beautiful piece of aluminum machining for opening or closing that stubborn quick-link of your chain while in the field. 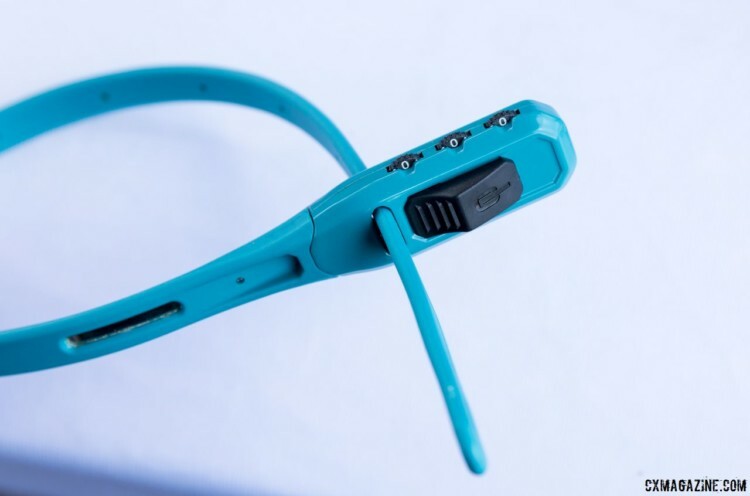 The Pack Pliers are made gravel-grind-ready with a magnet to hold extra quick links, a provision to grasp the nut of your valve stem and a slot to remove the valve core to inject more sealant. The entire package easily slips into your bag like a tire lever, which is also included at one end of the Pack Pliers. 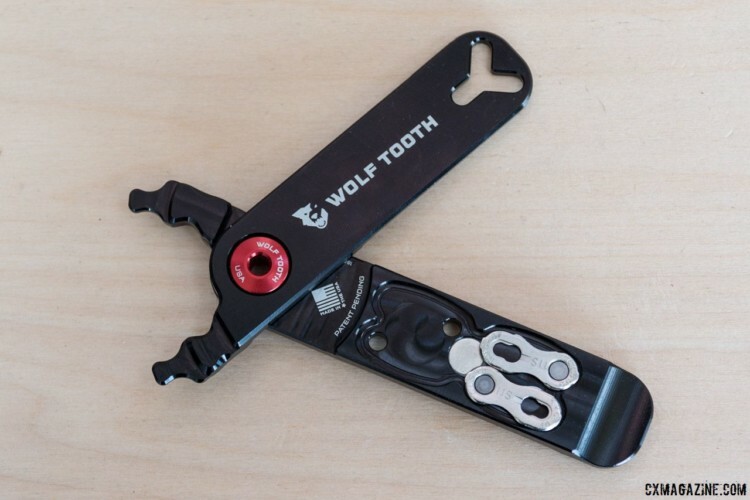 Wolf Tooth enters the competitive headset market with a modular system. 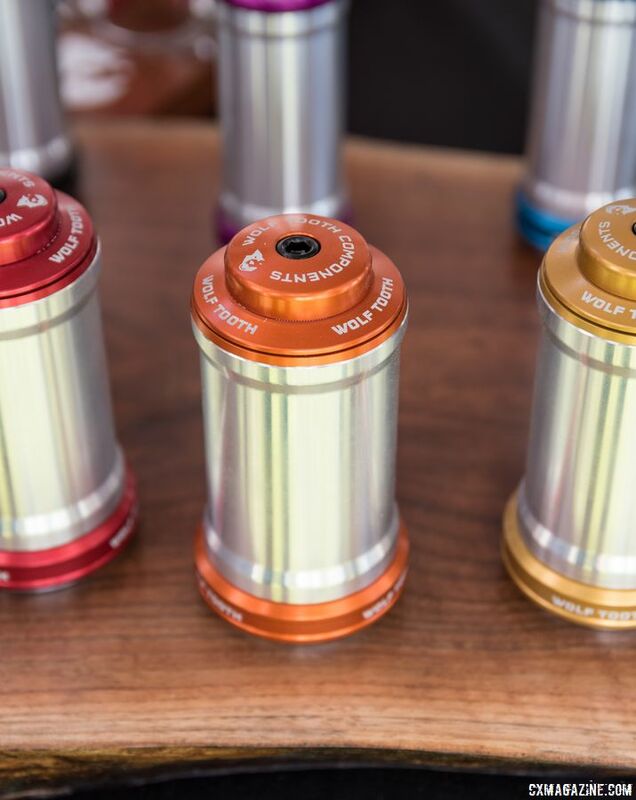 There are so many headset sizes with tapered steerer, internal and external cups that the folks at Wolf Tooth Components thought they’d help us out by making the modular headset in a rainbow of colors to mix and match as needed. There are multiple seals on every cup that are designed to provide a better seal, which sounds useful for gravel and cyclocross. You can customize the modular system, but the costs should run about $120. 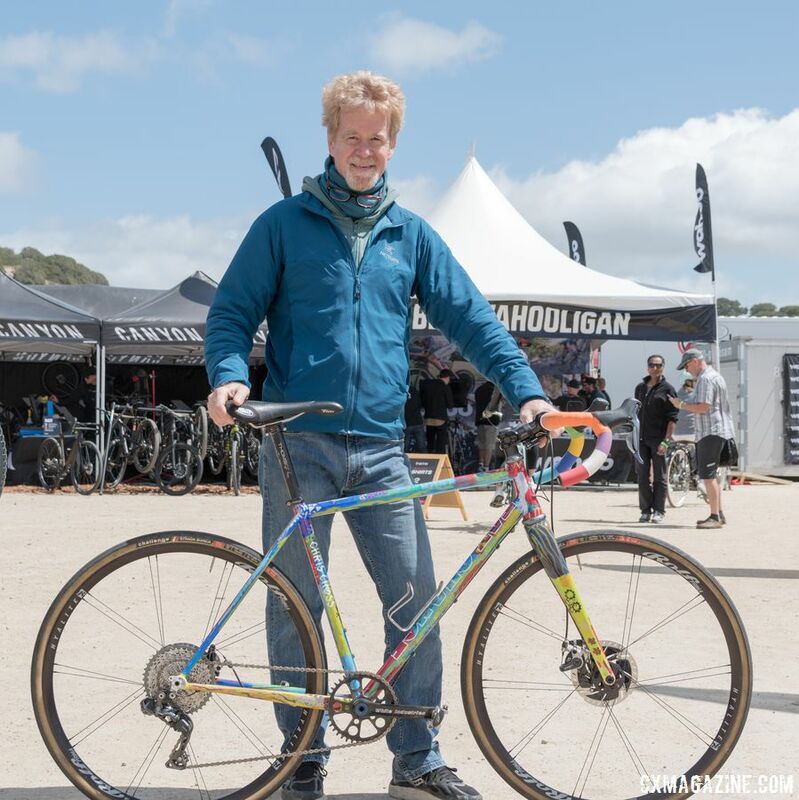 It’s always fun to catch up with industry icons, and this year we got the chance to chat with Chris Chance while he was manning the Fat Chance booth at Sea Otter. Last year, we profiled the Fat Chance Chris Cross revival. 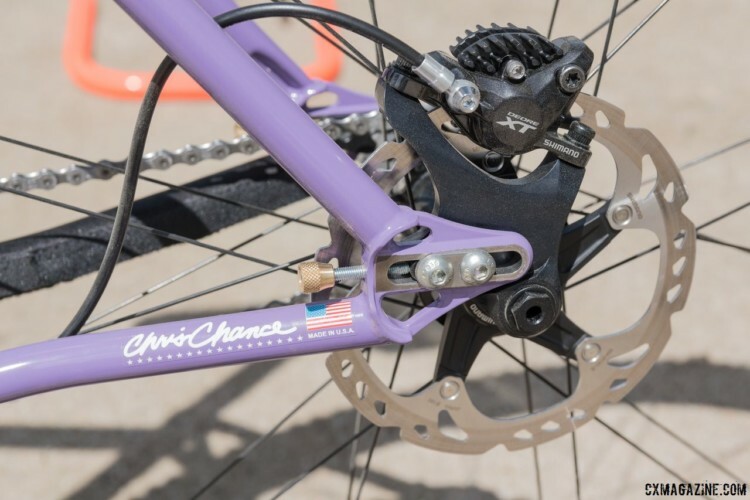 This year Chance showed a Chris Cross bike hand-painted by Landshark builder John Slawta’s daughter. The Chris Cross has made a splash since being re-introduced. 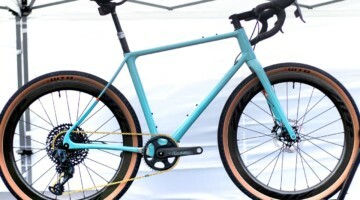 It is Fat Chance’s second most popular frame—after the legendary Yo’ Eddy—thanks in large part to the increasing popularity of gravel. If you’re interested in having the legend work on your bike, Chance told us he does pick up the torch some times for custom orders. Chance told us CoMotion helps build many of Fat Chance’s bikes, but he said he does pick up the torch for some custom work. “by making the mounting bolt’s permanent.” should be written “by making the mounting bolts permanent.” The apostrophe indicates either a contraction of ‘bolt is’ which doesn’t make sense, or indicates a possessive apostrophe, used to indicate that something (an item or a quality) is possessed by somebody (or something) (ex: John’s dog) which doesn’t make sense here either. This 2018 article about HipLok, SealSkinz, and Wolf Tooth has a link back to the 2017 article about HipLok, SealSkinz, and Wolf Tooth? I feel like I’m living in a time warp!